That elusive first Emmy® Award. If a coveted statue has yet to reach your hands, maybe this will be your year. How you enter and present your work to judging panels can enhance your chances. If you have judged entries from other chapters, then you have experienced the large amount of material, and know how difficult it can be for a submission to stand out. Begin by respecting the judges’ time. Brevity works to an entrant’s advantage. They inevitably score higher after viewing a submission from beginning to end. Help them get there. You don’t want judges scrubbing forward through your entry. At that point, you may have lost them. Manage your submission’s running time. Be aware that chapters scale a judge’s viewing requirements based on entry length. In our Chapter, judges see a scoring prompt after they watch 100-percent of an entry of 5:00 or less. For submissions running from 5:01 to 15:00, the prompt appears after they have watched 50-percent. For entries exceeding 15:00, judges must watch only 25%. This means that every second counts. Do not waste time. When judges see merit, they always give an entry more time. Practical Example: If you are entering in the Spot News category with a solo entry, do not begin your submission by showing the opening of the broadcast. Judges want to be impressed by your work, not music and a graphics package. What Impresses Judges—This Is A Television Contest. No one receives an Emmy® award for simply doing a good job. Judges expect to be entertained, enlightened, inspired, and wowed. They look for work that demonstrates excellence and advances the medium. When crafting your entry, remember that this is a television/video contest. Build it as you would a broadcast or a story. Give it flow and rhythm. Winning entries do not always follow convention. While composite categories allow multiple lifts, use as few as necessary. If the category allows three lifts and you can make your point in two, the judges will appreciate that. Establish credibility with the first cut. Seal the deal with the second. This goes back to brevity and respecting a judge’s time. As an entrant, you may find it difficult to edit yourself. Begin by looking at your entry from the perspective of a judge who does not know you or your work. Be your own worst critic. Example: If you are entering the Reporting Category, avoid opening the entry with an anchor toss. You do not want the first person a judge sees to be someone else. 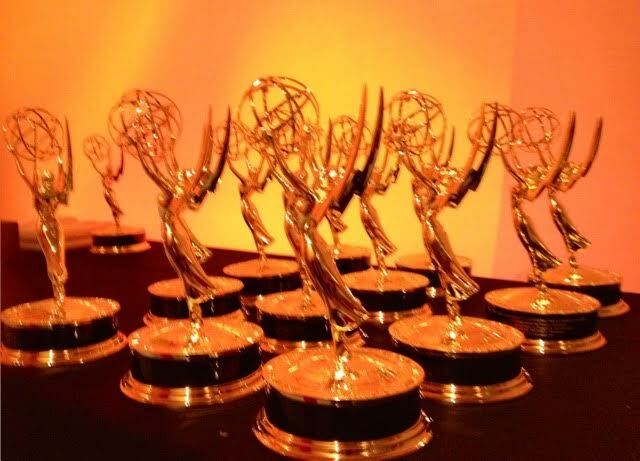 No one has ever earned an Emmy® award with a précis. Many entrants have inadvertently predisposed judges with boastful claims, misspellings, or grammatical errors. Simple mistakes make bad first impressions. The best précis is short and humble. Use it almost as an introduction or a tease. Tell the judges what they need to know in order to better understand your work. For longer submissions, a précis can provide a road map. Judges will appreciate it. Alas, he did not receive the golden statuette. While the reporter had, in fact, done a fine job, he failed to make the story relevant or interesting outside of his small city. His piece required too much local knowledge. It lacked universal appeal. We see many such efforts when judging Emmy® award submissions. Viewers in other markets rarely give an inside strike to a stranger. You and your fellow entrants are what you present in that submission. The lesson: Your entry should appeal to anyone, anywhere. An entry should begin immediately. Avoid color bars and slates. Countdowns should last no longer than four seconds. Dips to black should last no more than two seconds. For credibility, enter your segment as aired. If from a master, mix the audio onto both tracks. Split tracks from separate channels will distract the judges. And, always watch your submission from beginning to end before sending it. Catch your mistakes in advance. A few years ago, two reporters from the same station submitted essentially the same material from a story—and a compelling story, at that. One reporter entered his piece from dayside. Then, his colleague from the night used some of that the first reporter’s video, and even some of the same words. Because what they submitted were two treatments, rules at the time required our Awards Committee to certify both entries. Neither received a nomination. Essentially, they cancelled each other out. The night reporter’s entry followed the letter of the rules, but not the spirit of them. 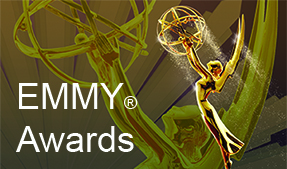 Your Emmy® Award Committee looks at and certifies every entry—more than a thousand of them. Granted, some mistakes happen inadvertently, but we also see entrants manipulating the rules to their advantage every year. They double-dip. They change the titles of entries. They duplicate material. It’s a long, growing list. The honor system works only as long as people remain honorable.